Our 7-day overland group tour from Lhasa to Shigatse via visiting one of the most significant Bon religion monasteries in Tibet ( The Yungdrungling Bon monastery ) After arriving in Lhasa, next day travel to Ganden monastery and Drak Yerba meditation caves for a short 1-2 hours hike to see the beauties of the valley. An excellent tour for Travelers preferring to spend a week in Tibet visiting many rare seen beauties of Tibet. 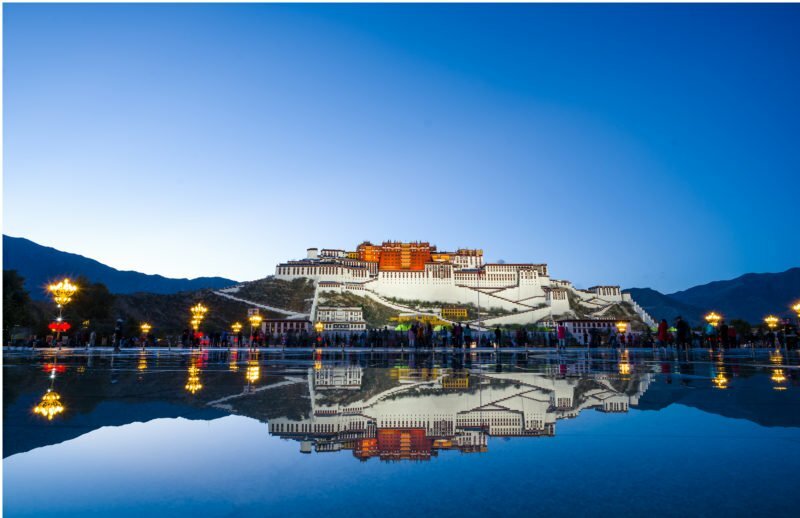 Despite being priced for budget travelers, 5 of your five nights in Tibet are in the center of local Tibetan residents Lhasa 3-star Kyichu hotel and 4-star Gesar hotel in Shigatse city. This journey will start by exploring the holy city of Lhasa. You will see the main Buddhist sites in the town including Jokhang Temple, Norbulingka summer palace, Sera Monastery for debates, and the Potala winter Palace. Next, you will make the scenic drive to Shigatse going via Yamdrok Lake, Karo La Glacier, and the Gyantse Kumbum Stupa. 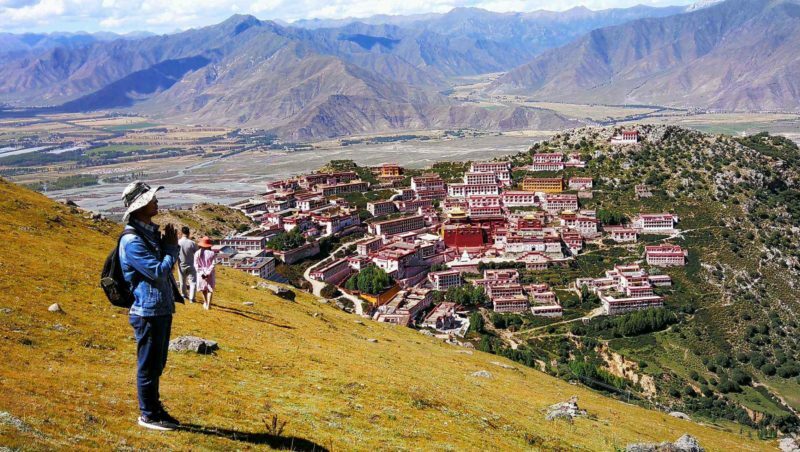 From Shigatse, you will visit the Tashilhunpo monastery and travel back to Lhasa via visiting the largest Bon monastery in Tibet ( Yungdrungling Bon monastery. Bon is the first and native religion of Tibetans, Buddhism was flourishing in Tibet after many centuries from the flourish of Bon. It will be interesting to visit the native Tibetan religion monastery for Travelers since we will visit many Buddhist monasteries in the tour. On the morning of the 7th day, you will travel to the Lhasa airport or train station where the tour in Tibet ends. Tibet Travelers is one of the only travel agency in Tibet that offers such a unique itinerary for Travelers! Also, we use expert English-speaking Tibetan guides who are there to help you learn more about the uniqueness of Tibet. If four people book this tour together, we will offer a discount of 200 US Dollar per person. If three people book this tour together, we will offer a discount of 100 US Dollar per person. You will be met at the Lhasa airport or train station by your Tibetan guide and transferred to the hotel, elevation 3600 meters. You can then explore the nearby Old Town of Lhasa and the markets lining Barkhor Square. Today you will start your day by visiting the massive 1000 room Potala Palace, the most iconic building in Tibet. You will work your way up the steps of the Potala and then go through the most important rooms in this famous UNESCO site. 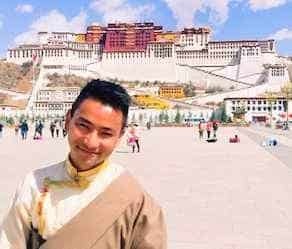 After lunch, you will explore the beauties of summer palace of Dalai Lama ( Norbulingka Palace ) after visiting many monasteries, its a great option to visit summer palace where Travelers can visit morethan three palaces. In the late afternoon and evening, you will have free time to explore Lhasa on your own or do some souvenir shopping. You will depart Lhasa in the early morning and drive through the scenic Yarlung River Valley towards Yamdrok Lake. 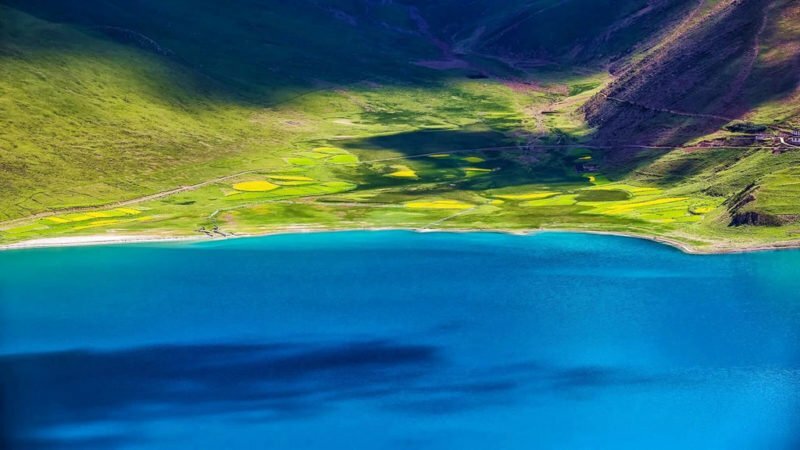 Yamdrok is one of Tibet’s 4 main holy lakes and is regarded as one of the most beautiful lakes in the Himalaya. From the Kamba La Pass, you get a panoramic view of this spectacular lake with the nearby mountains. In the morning, you will be free time in Shigatse to exploration Tashilhunpo monastery. One of the biggest Gelugpa sects collage in Shigatse. In the Tashilhunpo monastery, you will visit the big statue of the future Buddha which is the main relic of the monastery. From Shigatse, we will travel to Lhasa through the northern friendship highway via visiting the biggest Bon monastery in Tibet( Yungdrungling Bon monastery ) Bon is the first and native religion of Tibetans, Buddhism was flourishing in Tibet after many centuries from the flourish of Bon. It will be interesting to visit the native Tibetan religion monastery for Travelers since we will visit many Buddhist monasteries in the tour. On the way, we will enjoy the beauties of Yarlung Tsangpo Brahma Putra river and many villages of Rinpung and Nyemo town. Spent the night in Lhasa. Today in the morning we drive to Ganden monastery, located around 1-hour drive from Lhasa towards east. There is a beautiful 2 hours kora hike where Travelers can see the whole view of nature and valley, also its the place where many great masters of Ganden monastery meditation before with only a few clothes even during the rainy season so there is lots of blessing. After Ganden monastery, drive around 1-2 hour to Drakyerpa meditation caves to meditate and visit the meditation caves of great masters including Guru Rinpoche, Guru Atisha, and King Srongtsen Gampo. In the morning, you will be transferred to the Lhasa airport or train station where the Tibet Travelers tour in Tibet ends. If Travelers need any help for tour after Tibet in China or Nepal, Tibet Travelers happy to help for Travelers. Thank you for loving Tibet Beauties! Thank you for choosing Tibet Travelers! We hope to see you once again soon in Tibet in the near future. 80 queries in 0.252 seconds.